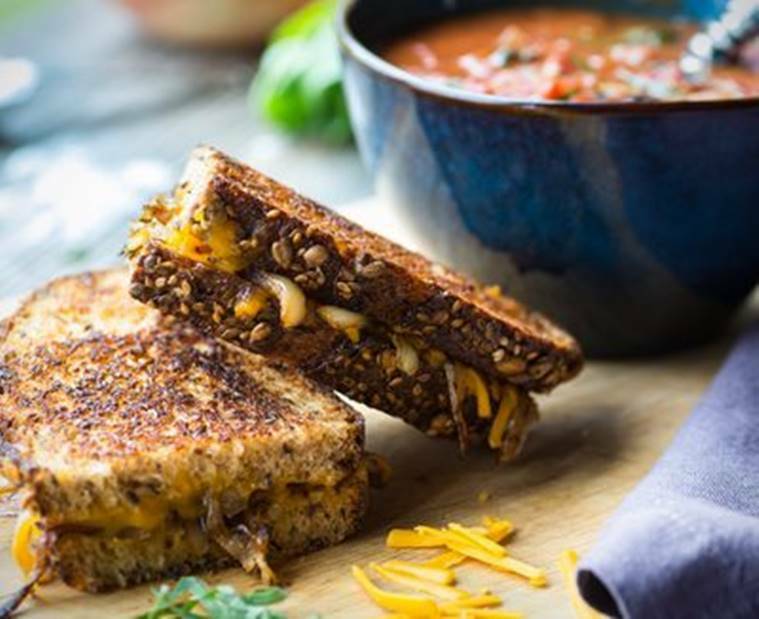 Some three-quarters of people who buy sliced cheese make at least one grilled cheese a month. 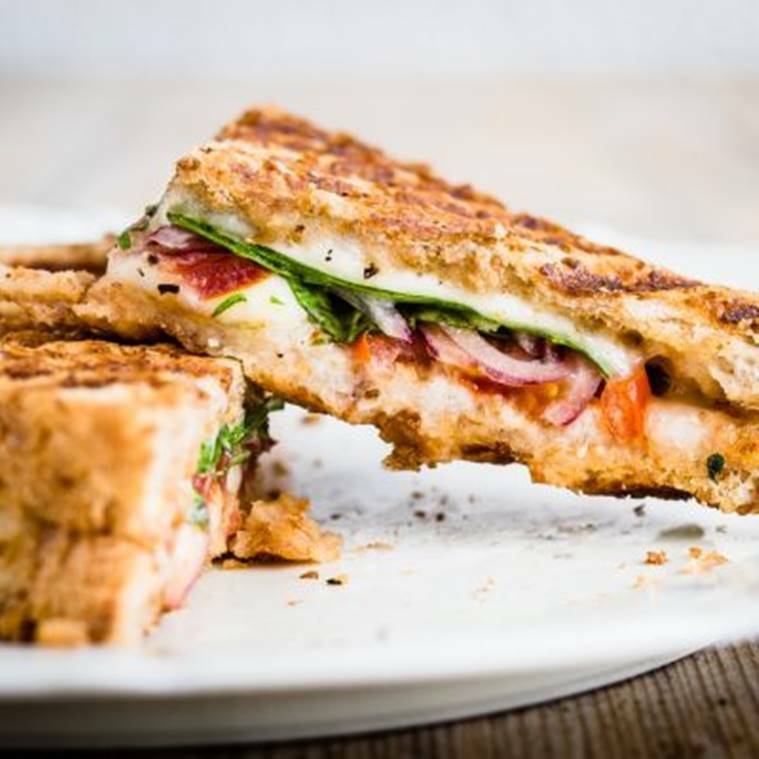 While similar recipes are mentioned in Ancient Roman texts—and, let’s face it, the French have been making their famous croque monsieurs since the early 1900s—today’s notion of the grilled cheese is commonly traced back to the 1920s, when the Iowa man considered “the father of sliced bread” invented a bread slicer that made distributing white bread easy and affordable. Shortly before that, processed cheese had been patented by James L. Kraft—you’ll recognize that name, of course—an entrepreneur whose revolutionary pasteurizing process ensured that cheese wouldn’t spoil, even when transported long distances. By 1914, J.L. Kraft & Bros. Company (the precursor to Kraft Foods) opened its first plant in Illinois; five years later, the company had already expanded into Canada. Of course, this “factory cheese”—disparagingly termed “rattrap cheese” or “rat cheese” by the English, who were fiercely proud of their cheddars—was not considered a delicacy. It was, simply, a cheap, nutritious, and scalable product. So Today let’s learn to make some nice Grilled Cheese sandwich …. * Spread the pesto on each slice of the bread. * On one slice, add sliced mozzarella, baby spinach, avocado slices, goat cheese or feta and another layer of mozzarella. Top it with the second slice of bread and gently press it down. * In a pan, heat up some butter and gently lay the sandwich. * Cook it on each side for a few minutes till it looks golden brown. You may press it down gently to seal everything in. * Once golden brown on both sides, take it off the heat and cut into triangles. Serve immediately. * Layer one slice of bread with sliced mozzarella, tomatoes and basil. * Season with crushed black pepper and top it with the second slice of bread. * Drizzle olive oil or butter in a non-stick pan or skillet. Swirl the pan around to coat the pan evenly with oil. * Gently lay down the prepared sandwich and cook on both sides till the cheese has melted and bread has turned golden brown. * Take it off the heat and cut into triangles. Serve immediately with some pesto. * In a cast iron pan, add 1tbsp butter and oil. Heat it till the butter melts. * Add the sliced onions and cook over low heat for 30 mins. Do not stir the onions too much. It needs to gently cook and caramelize (to turn dark brown in colour). * Once it turns colour, add the chopped fresh parsley and set it aside. * Heat up a new skillet until it is medium hot. * Butter each slice of bread. Place two slices of bread, butter side down, on the pan. * Add three slices of cheese on each slice of bread. Wait till it gently melts. * Add some of the caramelized onions on one slice, when the cheese looks melted enough, sandwich the two slices of bread together. * Gently press down and take it off the pan. Serve immediately. * Place two bread slices on a cutting board. Evenly spread chilli mayonnaise on both the slices with the help of a knife. * Place a cheese slice on the bread slices. * Sprinkle a pinch of crushed black pepper and salt over the cheese slice. Arrange a slice of bread with cheese, alternatively. Add a little coleslaw in between them. * Place the sandwich in the griller and keep it on till it turns golden brown and crispy. * Once turned golden brown, place the sandwich on the cutting board and cut them into four equal pieces. * Serve hot with french fries and garnish with lettuce leaves. * Roughly chop olives, jalapenos and basil leaves. * Fold the chopped ingredients in mayonnaise and cheese spread. Season with freshly cracked black pepper. * Bring the mixture to spreadable consistency by adding some brine from jalapenos. 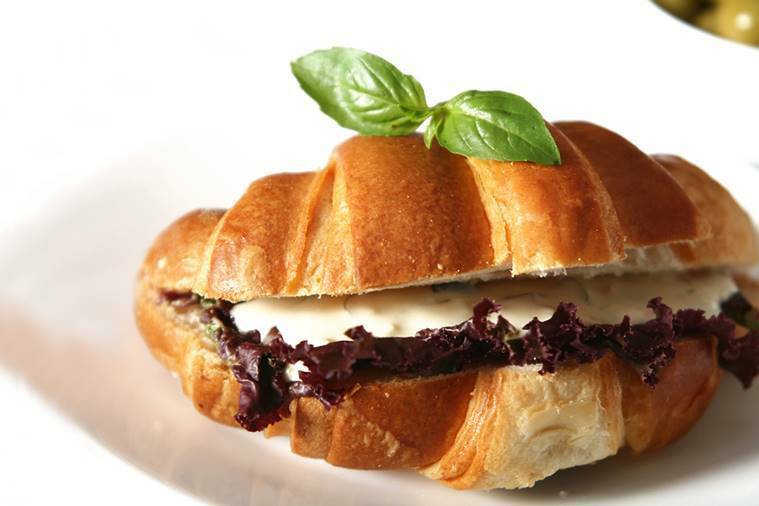 * Sandwich the spread between toasted sliced bread or baguette or focaccia. * To serve, cut into fancy shapes or keep as open sandwiches with a drizzle of extra virgin olive oil. Tasty Khichadi Made with whole black urad dal and rice specially for lohri, a traditional Punjabi Dish as made in home of Punjab during winters. Pick, wash and soak rice and urad dal for at least 30-45 minutes. Chop green chilies and grate ginger and keep aside. Heat 2 tablespoon of ghee in a pressure cooker, add asafetida, cumin, dry red chillies, once the spices start releasing the aroma add grated ginger and green chilies, mix well and fry for 2 minutes. Remove it in a serving bowl and serve. A specialty food product from the land of delicious food, Amritsar. These special Amritsari Vadiyan are made from Urad dal soaked, ground to a paste and blended with coriander seeds, saunf (fennel seeds), black peppercorn, dried whole red chillies and cumin seeds. Add them to your favourite pulav or enjoy them infuse their flavour and aromatic magic in your favourite dishes… A taste that will leave a lasting effect on your palate. Heat oil in a pressure cooker. Break the wadis, put into the cooker and saute. Cut potatoes into thick fingers. Chop onions and ginger finely in a chopper. Put this into the cooker and saute for 2-3 minutes. Add potatoes, turmeric powder, coriander powder, cumin powder and salt and mix.Add 1 cup water. Add red chilli powder and tomato puree and mix well. Add garam masala powder and mix well. Add coriander leaves and mix. Put the lid on the cooker and cook under pressure till 2-3 whistles are given out. Serve hot. The USP of this recipe is there is no onion or tomato used hence no chopping, grinding that’s makes this recipe super quick and easy. Dry pomegranate seeds is normally used in pindi chole to add sourness along with dry mango powder and the dark brown color is achieved from dry gooseberry (amla) or tea bag/leaves which is more popular options these days. Black cardamom – 2 no. Bay leaf – 2 no. Green chillies chopped 2-3 no. Boiled the soaked chana with dry amla and black cardamom till cook up to 95%. Take a pot and heat the ghee and put whole spice and fried it. Put chopped onion and brown it then add ginger garlic paste and other powder spices. Put tomato puree and boiled it. Add boiled chana and cook well on slow flame. Hyderabadi Bhindi Ka Shorba or bhindi gosht kadhi is an authentic Hyderabadi recipe made with mutton adding into lady’s finger / bhindi /okra. It is made using the combination of bhindi(okra) and mutton or meat. Bhindi Gosht Recipe is a very tangy dish as it has got the tangy flavor of the tamarind pulp. This is one of the popular dishes in Hyderabadi cuisine usually made with okra and mutton added to it. In variation of mughlai dishes , meat or mutton is usually added to most of the veggies. The flavor of the curry stands out with the flavor of mutton into it and also makes the dish very juicy. Bhindi Gosht recipe is always made with mutton in Hyderabad / Awadh . In Hyderabad to get some tangy taste to it tamarind extracted pulp is added. Bhindi is the most used vegetable in every household and one should try to make it as often as possible as it is good for health and also a tasty vegetable when made into any form of dish. Marinate Mutton 30 minutes before cooking … To tenderize the Mutton/ Lamb , mix with Papaya paste / Onion Juice / little of Yogurt / Salt to taste / Pepper / Ginger Garlic . If you marinate with papaya paste and Onion juice , Donot need to cook in Pressure Cooker else in Dum it would take 1 hr for Mutton to get tender . In a wok or kadhai , add Ghee , add sliced onions, saute well till transparent. Add slit green chillies, add ginger garlic paste, saute till the raw smell disappears. Add mutton into it and roast it well until a change in color appears. Add salt, red chilli powder, turmeric powder, mix and cook the masala well for two minutes. Add chopped tomatoes and cook until tomatoes get soft. Add tamarind pulp, add okra/bhindi, add coriander leaves, garam masala powder and cook everything until bhindi gets soft . Serve it with rotis or rice. Rice flour paste or Chickpea flour paste can be added into the dish to make it more tasty and thick. It is widely believed that children will be the ones shaping the country’s future. This Children’s Day, do a little special something for the young ones. Whip up lip-smacking recipes specially curated by Chef Gaurav Chadha, In-house Chef, Dr. Oetker India at the comfort of your home. Treat your kids and yourself to some delicious food and let your inner child run free! For Carrot Spread: In a bowl, add carrot, raisin, capsicum and 3 tbsp mayonnaise. Mix well. For Apple Spread: In a bowl, add apple, dates, cinnamon powder and remaining mayonnaise. Mix well. Apply carrot spread on a slice of bread and club it up with another slice of bread. Apply apple spread on top of second layer of bread slice and club it up with another bread slice. 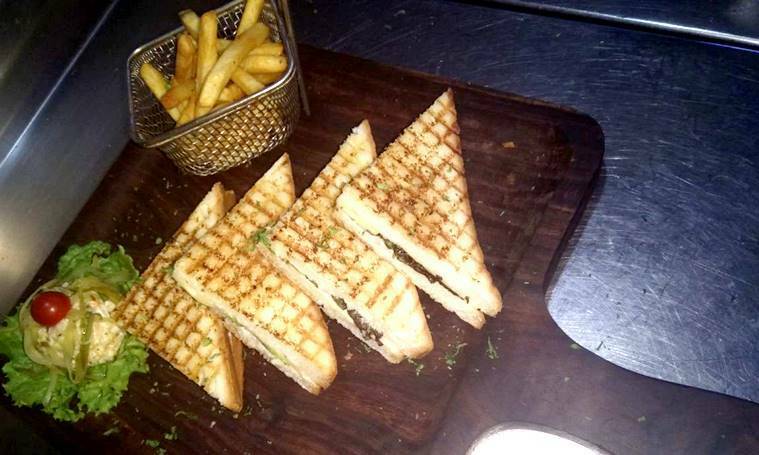 Cut sandwich diagonally in two triangles and serve. In a bowl, add onion, tomato, paneer, capsicum, oregano, chilli flakes, salt and pepper. Mix well and keep it aside. Preheat oven to 180°C. Spread 2 tbsp each pasta & pizza sauce on each half of burger bun. Place vegetables on both the buns equally and top it up with cheese. Place fruits alternatively in skewers and refrigerate for 30 minutes. Dip fruit skewers firstly in mayonnaise and once coated roll them up in coconut. Garnish fruit skewers with sprinklers and serve cold. For Salad Dressing: In a bowl, add cream, mayonnaise and coconut powder. Gently mix it together. Add tooty fruity, pineapple, marshmallow, cherries and nuts in the above dressing. Mix well and serve cold. Halloween this year will be celebrated on October 31st. However festivities in India have already begun and many pubs and lounges are giving offers and discounts in their drinks and food. Several offices have organised Halloween themed parties. Every October, carved pumpkins peer out from porches and doorsteps in the United States and other parts of the world.Gourd-like orange fruits inscribed with ghoulish faces and illuminated by candles are a sure sign of the Halloween season. The practice of decorating “jack-o’-lanterns”—the name comes from an Irish folktale about a man named Stingy Jack—originated in Ireland, where large turnips and potatoes served as an early canvas. Irish immigrants brought the tradition to America, home of the pumpkin, and it became an integral part of Halloween festivities. So Pumpkin plays a Important role even in Halloween Recipes … Though Pumpkin is very Humble Vegetable , But It Humble vegetable could be so exotic Only CHEF OM NAYAK OF THE PASTA BOWL COMPANY , Restaurant based in Gurgaon which is dedicated to Sicilian Kitchen and preserves the Authenticity of Sicilian Kitchen … With Strong Belief , EAT SEASONAL , EAT FRESH , CHEF OM NAYAK SHARED WITH US , THE RECIPES FOR HALLOWEEN .. While many believe that it was in Akbar’s court from one of his skilled khansamas, given the mention of Mirch Ka Salan as one of the highlights of menu served at Akbar’s coronation ceremony as the Emperor Of India. Even the Ain-i-Akbari mentions the dish as his favourite. In one of the pages, it is written that an edgy prince (referring to Akbar) was pleased to see that his favourite Mirch Ka Salan on the rehearsal dinner menu with Mir Bakawal, who reminded the prince how his beloved dish is an adaptation of a popular Indian cooking practice which the kitchen has embellished with local spices, condiments and souring agents from regions all over the kingdom – making something altogether unique. It is said that Akbar, who was a staunch vegetarian, loved his Mirch Ka Salan not only for its unique taste, but also for the flavour integration that the dish had. For him, many historians and travelers later noted, the dish was an extension of his thought process of a united kingdom, where people stayed in harmony. Asaf Jahi, who is credited of developing the Hyderabadi cuisine, as one of the contenders — there was no denying that Mirch Ka Salan was never developed as a side -kick to Biryani as it later became. Food lores also suggest that the dish came during the time of Muhammad Quli Qutb Shah, the fifth ruler of the Qutb Shahi dynasty, founded the city of Hyderabad in 1591, who was known to be rather fond of bold flavours in his food. But all said, in all likelihood, Mirch Ka Salan was never the side-kick to Biryani, but a main dish. Mirch Ka Salan was a thick brown rich gravy, which usually meant that it was one of the star dishes of the table, to be had with steamed rice or chappatis/rotis. Heat non-stick pan (low flame) add sesame seeds, coriander seeds, red chillies and coconut powder. Roast the spices for 1 minute and let it cool. In a blender jar add above mixture and grind it to form a thick paste. Heat oil in a non-stick pan (low flame) add curry leaves, turmeric powder, coconut milk, peanut butter and water. Stir and add above paste. Cook this mixture for 3-4 minutes or till it thickens. Add fried chillies to above mixture, season with salt and add lemon juice. Garnish with corinader leaves and serve hot. Harissa is a spicy and aromatic chile paste that’s a widely used staple in North African and Middle Eastern cooking. Harissa recipes vary between countries and regions, but a standard version includes a blend of hot chile peppers (which are often smoked), garlic, olive oil and spices, like cumin, coriander, caraway and mint. Tomatoes and rose petals are also common ingredients. Even if you love spicy food, harissa packs quite a punch. A little goes a long way. Toss with 4 spoons of the harissa Dressing , Harissa Paste and Chipolte sauce with some chopped min leaves ( Pudina) . Mint leaves would balance the heat of Harissa paste . If you want add some Yogurt with the marination to give little more texture . Refrigerate 30 minutes, or up to overnight. Once you’re ready to cook, thread the chicken onto skewers. Depending on the size of your skewers, you will need 3-5 skewers. You don’t want to crowd the chicken. Place chicken skewers on grill. Cook until chicken is cooked through, turning a few times, about 10-12 minutes total. Serve with a Veeba dipping sauce.